The EDGE Lab is a community space! Students and staff are welcome to use lab equipment & supplies to make t-shirts, 3D prints, stickers, mugs, buttons, etc. We’re happy to train you (or your TAs!) to use the equipment, and will only charge for the cost of supplies. Learn to use EDGE Lab equipment to make your own products! Ready to get started making? Come see / email Mr. Moore or Mrs. Potter about getting one-on-one training during a time that works for you. EDGE Lab staff and TAs are often busy, during the school day, working with students, teachers, and classes, troubleshooting equipment issues, and preparing for workshops. While we’ll do our best to accommodate your requests, our priority is on teaching. Turn-around times will depend upon our schedule, equipment availability, and demand. Our equipment is used for class, club, and Aspire activities, and priority for equipment use will be given to student projects. Also, the 3D printers and vinyl cutters are sometimes down for maintenance or repair, so it’s best to put in your orders well ahead of time if you need them by a certain date! While we’re happy to customize products with designs or messages that you provide, we are unable – at this time – to create custom graphic designs or custom 3D models for you…although we’re happy to work with you or a TA to show you how to do this yourself! 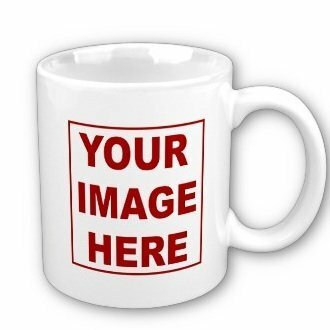 You provide the image and / or text…we’ll put it on a mug! Mugs available in white only. 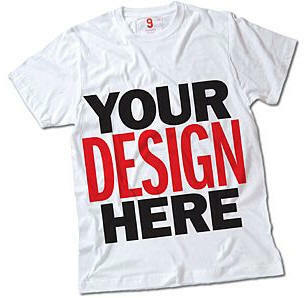 You provide the t-shirt – and the design and/or wording you want on it – and we’ll do the rest! 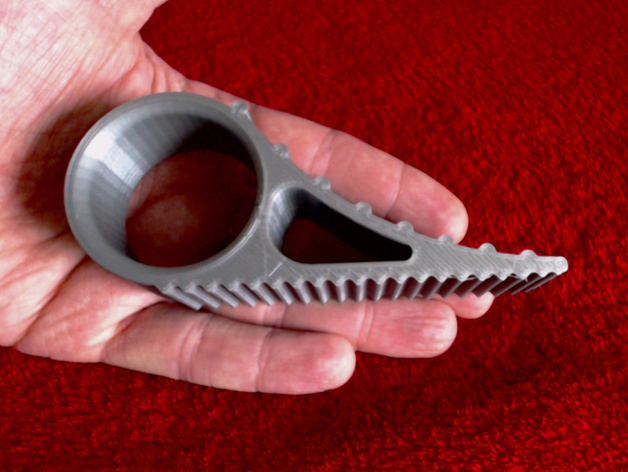 3-D printed doorstop, available in grey, black, white, green, and blue.